Kindly modeled by Peter Avery, forklift drive at wholesaler P & I, this new variety has a lovely, deep purple colour. "Its vivid eye-catching appearance is particularly attractive to children," claims George Read, production manager at Staples Vegetables in Lincolnshire, in their bid for a UK Grower Award. 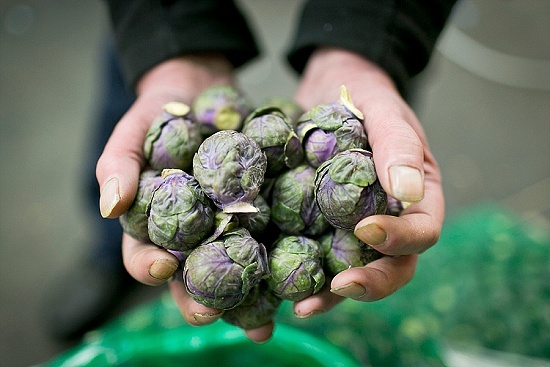 In recent years, chefs have worked hard to put sprouts back on our plates. Jamie Oliver shreds them to use raw in salads, for example. Roasting the sprouts adds crunch. Chef Michael Wignall unfurls the leaves to use in his innovative take on pickled choucroute, replacing cabbage. On the Market, traditional green sprouts are also available trimmed or on the stalk or 'stick'. Did you know that they contain, weight for weight, three times as much vitamin C as an orange? 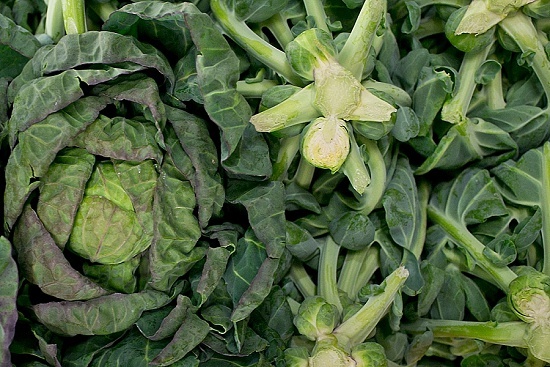 Sprout tops are on trend these days, but were for many years a waste product in the field. "The tops were normally cut off and put on the floor so it's a real bonus," says farmer Alan Buck, who grows 50 acres of sprouts at Ribble View Farm in Lancashire. He has noted a steady increase in demand since 2012 or 2013. The recent warm weather, however, has been a hindrance. "Too mild - some of the crop which should be maturing next month has already matured and will be over by Christmas," says Alan. Sprout tops are terrific cooked in a similar fashion as other winter greens and enjoy a superior flavour – sweeter, with a subtle hint of sprout. 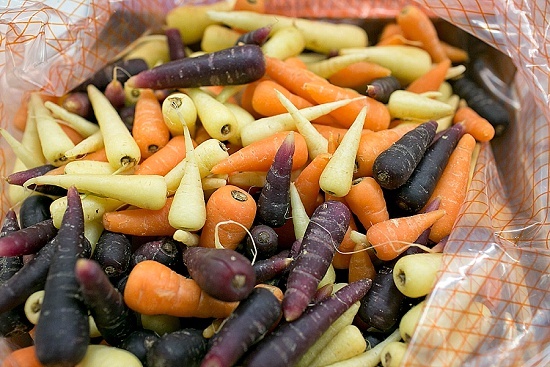 Mini Chantenay carrots are now available by the box in a mixed variety of colours. These look amazing on a plate and one box will stretch to many portions. Piccolo parsnips are their natural partner at this time of year. Jumbo-sized cranberries are the latest news, often grown in Belarus. Flavour, however, is much the same as their smaller sisters. 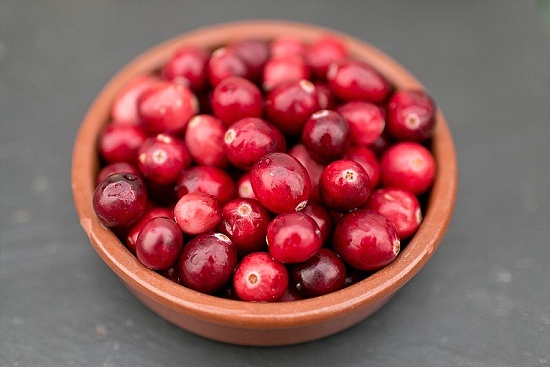 Cranberries are available fresh, frozen and dried. Did you know that the fruit is sometimes 'wet harvested' by flooding wetlands with water and letting them float to the surface? Your Christmas cranberries, however, probably used a different technique: a mechanical picker to comb the berries off the plant. Some large producers even use a helicopter to hoist out the precious harvest. 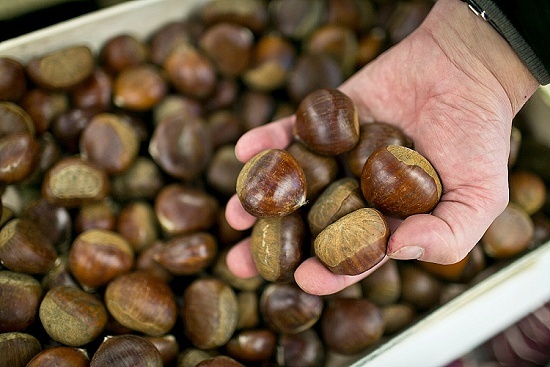 You'll find two main categories of whole chestnuts on the Market: larger, more expensive nuts from the Continent, especially France, and smaller-sized, cheaper product from China. There are other options, too. Cooked chestnuts are available in vacuum packs, often 2 x 200g portions from the famous Ponthier brand. These just need warming before use. Another time-saver is tins of rich chestnut purée. Yes, this is the curve ball – kaki fruit is not a traditional festive fruit in the UK. But they are proving increasingly popular and well worth trying. 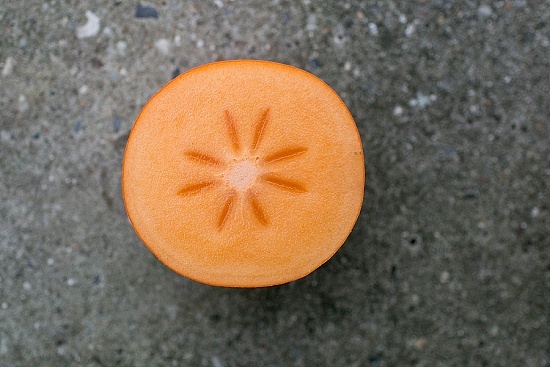 A cultivated variety of the persimmon, the sweet flavour is complex and honeyed. These beauties are typically imported from Spain and are also known as Sharon fruit. Clementines are always a bestseller. But here are some tricks of the trade. With leafy clems, the best sign of freshness is bright green, perky leaves. The colour of the fruit itself is more deceptive as they are often treated to 'de-green' the skin. (On the Continent, this practice is less prevalent as consumers are more willing to buy fruit with flashes of green.) On the Market, unsprayed and unwaxed fruit is also available, but expect a shorter shelf life. Citrus fruit is a complex subject, especially the breeding of new varieties. 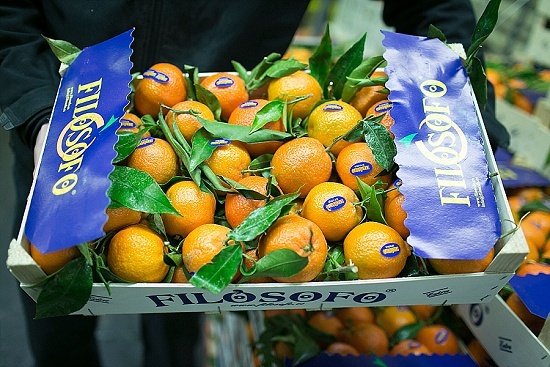 "It was only mandarins when I started in this business 55 years ago," says expert Cyril Brookner at P & I.
Nardicotts, for example, are a new-ish product and later variety. Now that the citrus season has switched to France and Italy from the Southern Hemisphere, these won't be available again until after Christmas. Satsumas, of course, have a looser skin. "All over the Continent they eat clementines not satsumas," explains Cyril. "We're probably the only country that takes sats [satsumas]. The British public being very lazy they peel very easy and are seedless. Clems are a bit harder to peel and you may find the odd seed. But the eating quality is in a different class." On the Market, the first Spanish navel oranges are now also available. Blood oranges will start after Christmas and into January. Want to learn more about the fascinating, complex history of the citrus fruit? Ask for Helena Attlee's book 'The Land Where Lemons Grow' as a stocking filler – it's a fascinating read.